Unfortunately I discovered how to get fingernail polish out of carpet the hard way. My polish spilled on light-colored carpet. 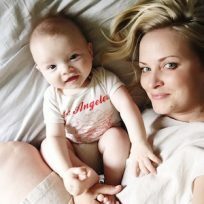 So I did a lot of research — and found plenty of information out there, but here’s the thing: There’s lots of how-tos that don’t actually work, so it took a lot of trial and error to get the job done. The upside, I’m here to tell you what doesn’t work and what does work. 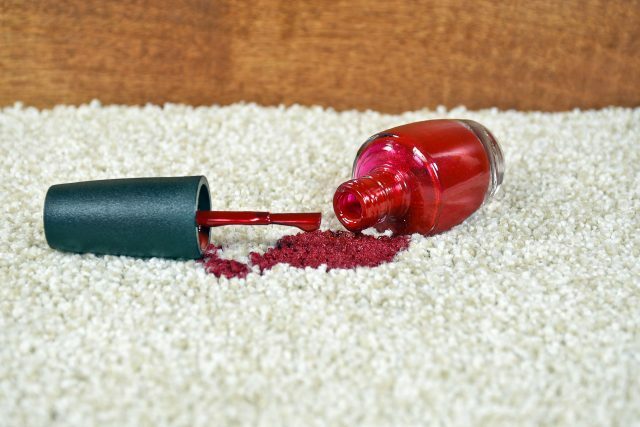 Here’s what you need to know about how to get fingernail polish out of carpet. Using a putty knife or similar tool, try to chip off as much of the dried polish as possible. If you have light colored carpet, put an acetone or non-acetone nail polish remover on a white rag or cloth (after wetting stain with cold water) and then blot. Repeat until stain is gone.